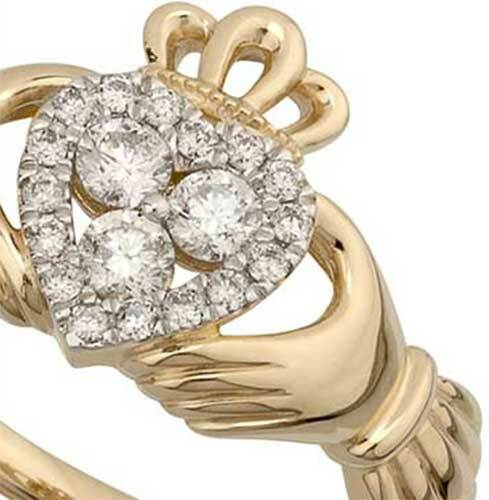 Gold Claddagh engagement ring features a heart that is studded with diamonds. This 14K yellow gold Claddagh engagement ring has a diamond heart with 0.3ct total diamond weight. 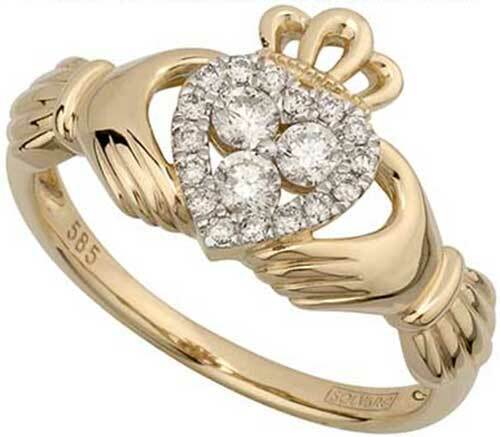 The Claddagh ring features three center diamonds that are surrounded by additional diamonds on the border: it measures 1/2" tall from the bottom of the heart to the top of the crown.